that became the Regul8™ range. Gut flora is crucial for digestive health and wellbeing as they provide a variety of functions including nutrient absorption and assimilation, vitamin production, digestion of sugars, proteins and hormonal signalling. They also prevent colds, flus, and yeast infections, decrease inflammation, breakdown and rebuild hormones, and bile acids to help with optimal body composition. They even improve heart health! Many people do not realise that up to 70% of the body’s immune system is actually located in your digestive system and it is often referred to as the body’s second brain. Also, important hormones like serotonin (your feel-good hormone) and melatonin (your sleep hormone) are generated in the digestive system which all have an influence on the rest of the body when they become imbalanced. What factors can contribute to impaired gut function? Did you know that the digestive system is where vitamins, nutrients and minerals are all absorbed? Factors such as stress, lack of sleep, antibiotics, the contraceptive pill, non-steroidal or anti-inflammatory drugs, illness, ageing and poor diet choices can all often lead to an imbalance of the bacteria in your digestive tract. Also, the mucosal lining in the digestive system is our front line of defence and if this is in poor condition, it follows that we will be in poor health. The friendly bacteria present in our digestive system completely determine an individual’s immunity. What are some of the signs of poor digestive function? Can stress impact your digestive system? Yes, it can! Digestion is controlled by the enteric nervous system, a system composed of hundreds of millions of nerves that communicate with the central nervous system. When stress activates the “fight or flight” response in the central nervous system, digestion can literally shut-down as the central nervous system reduces blood flow. While under stress, a person’s heart rate can go up, and their blood pressure may rise as blood is shunted away from the midsection, directed towards the arms, legs, and head for quick thinking, fighting, or fleeing. This affects the contractions of the digestive muscles, and decreases secretions needed for digestion. Stress can cause inflammation of the gastrointestinal system, and make people more susceptible to infection. When exposed to stress, this may alter your brain-gut connection, which can contribute to numerous gastrointestinal disorders. Scientific evidence shows that nourishing gut flora with the friendly bacteria with fermented foods or probiotics is extremely important for proper brain function, and that includes psychological wellbeing and mood control. Everyone has heard of a probiotic, but what is a prebiotic? A prebiotic should increase the number and/or activity of lactic acid bacteria. The importance of the Bifidobacterium and the lactic acid bacteria is that these groups of bacteria have several beneficial effects on the body, especially in terms of improving digestion (including enhancing mineral absorption) and the effectiveness and intrinsic strength of the immune system. In a nutshell, they help create the perfect environment for fussy probiota to flourish. 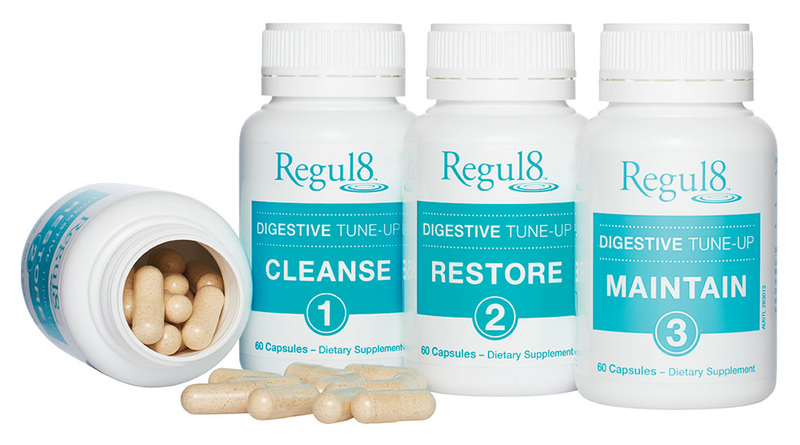 Why did you formulate the Regul8™ Digestive Tune-Up and how does it work? When studying Chinese Herbal Medicine, I realised how important the digestive system was and yet noticed that most formulations on the market that were able to easily side into daily life only focused on probiotic activity. Yet my studies had shown that for probiota to survive the gastrointestinal tract must be working optimally as the probiota contained within probiotics are quite fussy little things. The best way to visualise what I have created is to think of your digestive system as a garden… If the garden (your gastrointestinal system) becomes overgrown with weeds, snails, and other unbeneficial bugs (bad bacteria) – it will not matter what seeds, flowers, or veggies, are planted (probiotic), they simply will not grow, as the weeds (bad bacteria), rob them of the nutrients essential to their survival. Regul8™ is a three-step program to weed, seed and feed your digestive system through addressing intestinal overgrowth and repair the linings of the digestive tract to generate the appropriate environment for the good bacteria to flourish! What makes the Regul8™ Digestive Tune-Up unique? It is gluten free, does not require refrigeration and the probiotic element is microencapsulated, which means that the probiota are each covered with small a microscopic coating that protects them from being effected by the passage through the gastrointestinal tract – delivering them 100% live to the target site where they are most effective! This is a unique patented technology that has never been used in Australia before! How long does the Regul8™ Digestive Tune-Up go for? A basic program will go for 20-days, and for those who have prolonged gut issues anywhere from 40-90 days. 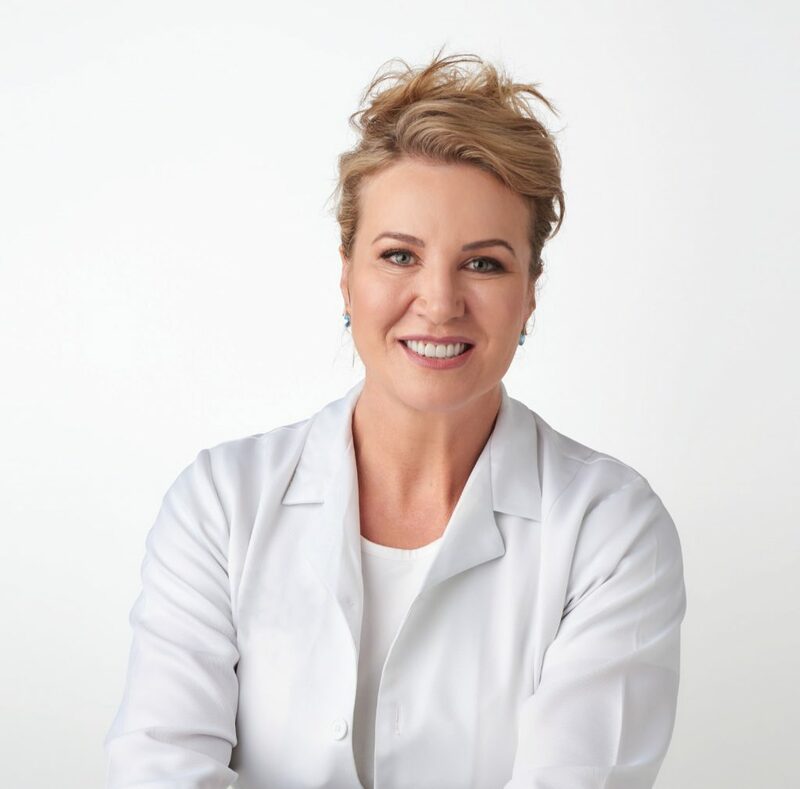 Our range is available from select skin revision clinics and health/wellness practitioners who will be able to guide you with how long you will need to do the program for. Once completed, all you need to do it top up your good bacteria with MAINTAIN. Delivers 100% live probiota to the target site where they can flourish and be most effective.